It’s estimated that around 500 people who have worked in the UK construction industry, die every year from the effects of silica. It’s also estimated that 4000 people die each year from chronic obstructive pulmonary disorder (COPD). Again, linked to working in construction. In fact, there are approximately 12,000 annual deaths caused by occupational respiratory diseases. According to Tim Dupont, director, RVT Group, while these stats make for uncomfortable reading, the very nature of construction work unfortunately causes health issues. There are many common construction tasks performed daily that create large volumes of dust," observes Tim, "such as: cutting concrete, stone and tiles; cutting and sanding wood; sanding plasterboard joints; abrasive blasting; and rock drilling. "When not controlled effectively, the resulting dust particles permeate the air where they unwittingly become ingested or inhaled." Lower-toxicity dusts: from materials containing very little or no silica, such as gypsum (e.g. in plasterboard), limestone, marble and dolomite. "When working in an environment where any one of these types of dust are prevalent, particles of dust mix with the air and enter the airways," Tim warns. "And whilst the body has its own tools for combating foreign particles – namely mucus and cilia in the bronchi and bronchial tubes that lead to the lungs – some particles manage to evade capture and continue their journey to the lungs. "Particles that have made it to the lungs without the body’s natural defences expelling them, can settle in the lung tissues and with continual exposure, build up over time." So what are the health risks caused by dust? "A range of respiratory diseases can be caused by exposure to dust, some of which develop quickly such as silicosis, but most build-up over a number of years which is why they can be so dangerous – by the time symptoms appear, the damage is often done." Latest HSE information shows that there are an estimated 10,000 new cases of respiratory problems caused, or made worse, by work each year. 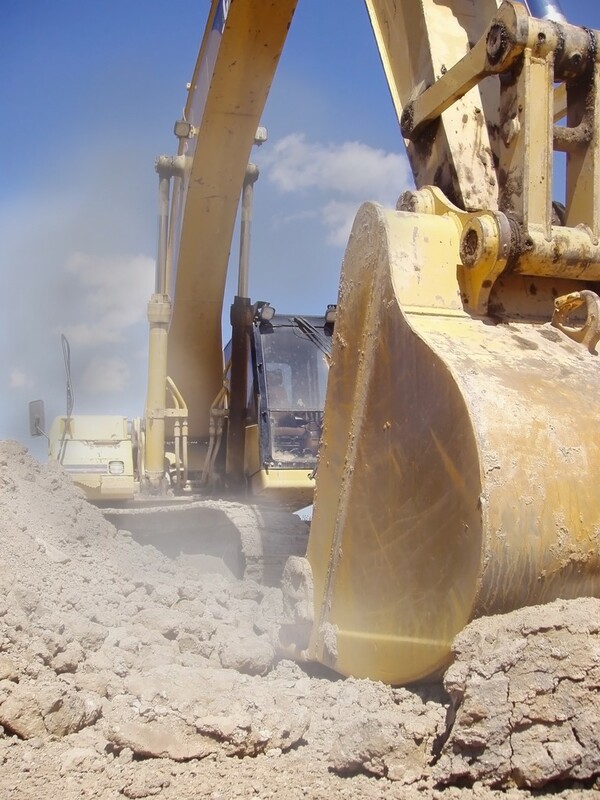 However, there are a number of guidelines surrounding dust control on construction sites. "The Control of Substances Hazardous to Health (COSHH) regulations have set out Workplace Exposure Limits (WEL) for British construction workers," asserts Tim. "As an example, COSHH recommends that workers should not be exposed to more than 0.1mg.m-3 of silica dust in an eight-hour period - that’s about the size of the top of a needle! "So as you can imagine, it’s crucial that dust is effectively managed on construction sites to avoid over-exposure." Since dust is inevitable on construction sites, Tim says it can still be controlled. "With the right dust control systems in place, dust can be efficiently managed and contained, removing the risk of over-exposure for workers," he notes. "The two most common ways to control dust are water dampening and vacuum extraction. Using water to control dust is effective, but sufficient water needs to be available for the entire time the job is in progress – not just at the beginning – to keep surfaces wet, preventing dust from becoming airborne. "Using a vacuum extraction method is the more efficient option. Specialist equipment – such as a filtration and extraction unit – will remove dust as soon as it is produced. In addition, containment tents should also be constructed to surround the work area, further minimising risk. "Construction dust is not something to be taken lightly – it can seriously damage health. But remember, employers do not have sole responsibility. All site personnel should be aware of the risks and take relevant control measures to reduce the likelihood of their exposure to dust."